Yes, that was my first thought too when I saw this headline to the website for local TV station KCRA. The man with the sword was clearly a real life Jedi. The police confront him and he refused to drop the sword. He moves toward them and fearing for their lives, the police open fire. The guy with the sword, in a move reminiscent of a Bruce Lee movie or a Star Wars battle, uses the sword to deflect the bullet and it hits the offices instead. One officer is struck in the hand and the other is hit in the arm. 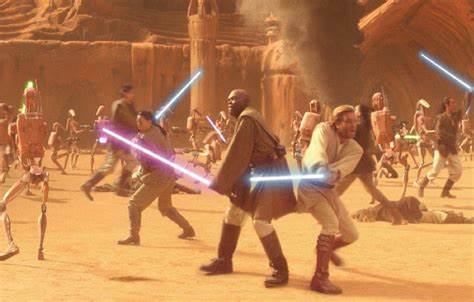 At this point, the Jedi turns to flee and is struck from behind with a bullet in the head which ends his life. 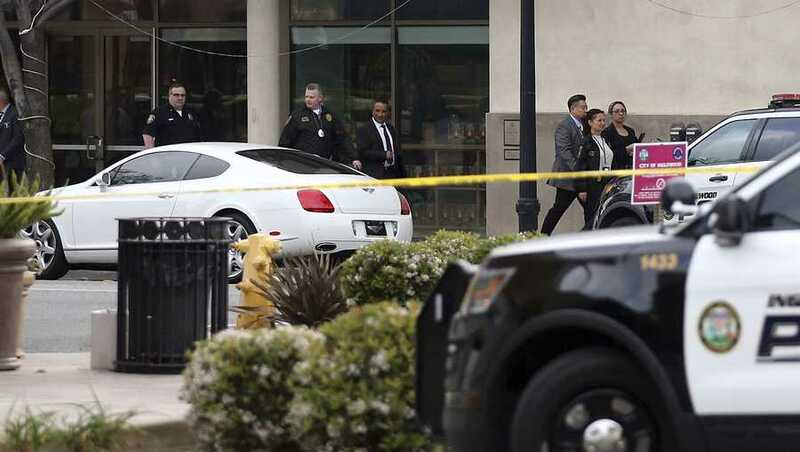 Two officers were wounded and a suspect was killed during a shootout after police responded Wednesday to reports of a man with a sword entering the Church of Scientology in Inglewood, California, authorities said. The suspect was shot in the head and died at a hospital, Inglewood police Lt. Oscar Mejia told reporters at the scene. He was not immediately identified. One officer was struck in a hand, and the other was hit in an arm, officials said. They were hospitalized in good condition with non-life-threatening injuries, police Chief Mark Fronterotta said. Both officers are in their late 20s, the chief said. Officials didn’t say who fired first or whether a gun was recovered from the suspect. Please note that nothing in the story indicates that the man was armed with anything other than a sword. So he either got the cops to shoot themselves or it happened like I said. I’ll let you decide.